Crane Service & Crane Rental - Fargo, ND | Industrial Builders, Inc.
IBI prides itself on the fleet of cranes and heavy lifting devices that provide commercial and industrial uses in many sectors. We provide crane services to commercial clients to lift signs, equipment, HVAC systems custom lifts and much more. Along with crane services our heavy equipment moving or heavy civil construction services offer services that can accommodate any type of project with the proper equipment to get the job done correctly, on time and on-budget. IBI prides itself on the fleet of cranes and heavy lifting devices that provide commercial and industrial uses in many sectors. We provide crane services to commercial clients to lift signs, equipment, HVAC systems custom lifts and much more. Industrial Builders, Inc.'s licensed and insured crane rental service accommodates your heavy lifting needs efficiently and at a reasonable price. If you are interested in a free quote and estimate for crane services or crane rentals, please complete our form below or contact us. 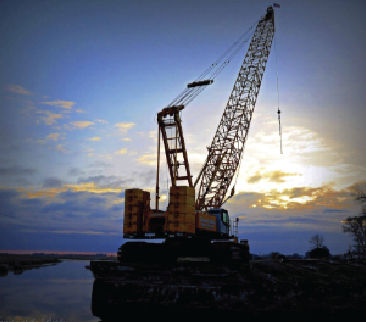 At IBI, we pride ourselves on our licensed and insured crane rental service. From our well-maintained modern crane fleet, to our NCCCO-certified operators, we have the experience and equipment to accommodate your heavy lifting needs efficiently and at a reasonable price. Need a lift? Contact our crane team for a free quote. What do you want us to pick? If possible, provide an approximate date, location (town or address), and description of what you need lifted. Our team will follow up as soon as possible to verify we have all the information we need and give you a quote. © 2017 Industrial Builders, Inc.. All Rights Reserved.